The Pistol Annies have created a new online community for fans called The Henhouse. Fans are invited to join and share their inspirations and explore the discoveries of other Annies fans. “Tune in to ‘Live from the Henhouse’ with Hippie Annie (Ashley Monroe), Holler Annie (Angaleena Presley) and me, Lone Star Annie, for advice that your momma won’t give you,” said Miranda Lambert. “Be as creative as you want; show us your inner Annie or Andy!” added Ashley. The site also features Henhouse Radio, which plays an eclectic mix from Old Crow Medicine Show to Blake Shelton to Tom Petty. The Henhouse can be found at www.pistolannies.com/henhouse. 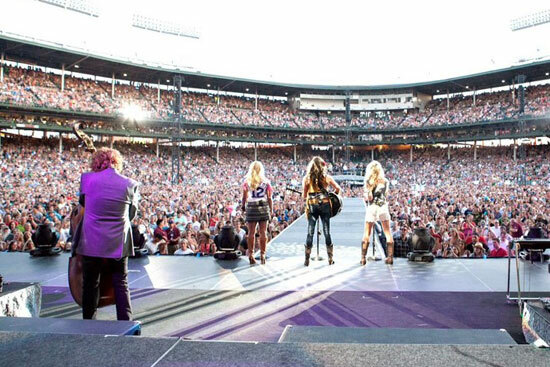 The Pistol Annies have also been added to more dates on Miranda’s “On Fire” tour. In September, the trio will head out for a series of headlining dates.